If you’re looking to make a change in your life and aren’t sure where to start, consider starting a journal. Journaling is an excellent way to organize thoughts that might otherwise be jumbled around in your head. Bringing clarity to your ideas, goals, and aspirations is the first step towards creating your ideal life. Your journey towards becoming the best version of you starts with pen and paper. Visualize what you want your life to look like and write it down. Writing your goals down on paper is the first step towards making them happen. It’s well known that you’re more likely to achieve your goals when you’ve written them down and your odds increase even further when you add a step by step plan on how you will achieve these goals. A playbook to look back on. The more you write in your journal the easier it will be to reach your goals now and in the future. This is because your journal will become your playbook for what does and doesn’t work in a particular situation. Trial and error are necessary for growth. Make sure you’re documenting your journey along the way, so you’ll be able to look back and see the best path to take next time you run into an old problem. Keeping a journal or notebook can be motivating in many ways. Being able to keep a record of where you started and how you ended up achieving your goals is a huge motivator to keep on going. If you’re feeling discouraged, it’s easy to look back to where you started and see the progress you’ve made along the way. Setbacks are a part of the process; use them as fuel to keep moving. Financial success isn’t the only path to becoming the best version of yourself. 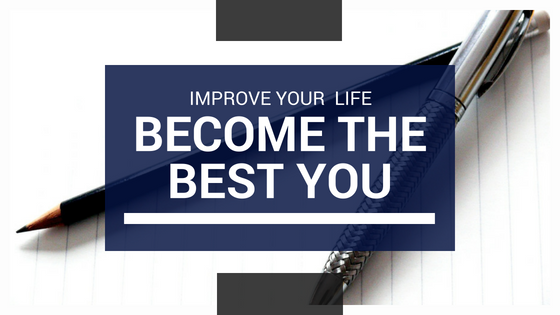 Many people don’t take into consideration that there are many other factors to becoming your best self besides obtaining financial success. Make it a habit to practice being a good human and you’ll be pleasantly surprised at how rewarding helping others can be. Keep a section in your journal for ways you can give back on a weekly or monthly basis. Giving back doesn’t have to be time-consuming or costly; sometimes the littlest things such as donating from your closet or helping a stranger take their groceries to their car are all it takes to make a difference. Take time out to be thankful for what you have. In our pursuits of success, we often forget about how fortunate we already are. Take time out on a periodic basis to write down what you’re thankful for in your life. Even if you don’t feel like many things have gone your way in life it’s important to remember that there are many other people who would love to be in your exact situation. Journaling has health benefits too! Being the best version yourself involves being healthy mentally and physically. Journaling has some great health benefits for both your mental and physical wellbeing. The act of writing is a great stress reliever and many people find it helpful to clear their minds at the end of the day by picking up their journal. Stress can be detrimental to your physical and mental health so implementing stress reduction tactics such as journaling are important for maintaining proper health. Journaling also helps improve mental focus and clarity because we are allowing our minds a chance to clear from the distractions and busyness of the day.